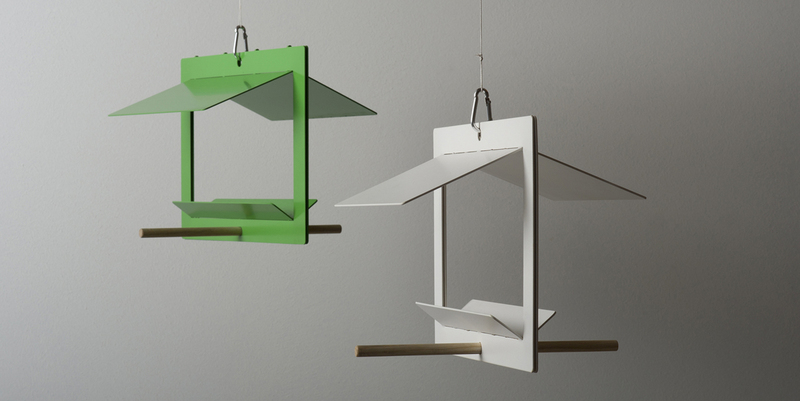 reduced to the max - birdhouse DIN A4 boasts a significant, delicate and minimalist design. It is delivered in a closed state. A single sheet of aluminium is unfolded by the customer. A covered feeding area for birds is formed. The user experiences the transformation from two-dimensional into three-dimensional.